1. DIAPERS/NAPPIES: Try and use cloth diapers/nappies if you can. We understand this can take a certain commitment. So, failing that, try to purchase biodegradable disposable diapers/nappies when available. If they are not available at your local supermarket, ask the manager - or purchase them online. Standard disposable diapers/nappies may advertise comfort and nice scents, but when they become soiled/wet the synthetic chemical absorbents, fragrances, and dyes used to achieve these can cause a rash, or even minor burning. It is also possible for these chemicals to pass into the bloodstream. As well, a standard diaper/nappy, if multiplied over the years, is really not a good friend to landfills. Even if you use a biodegradable diaper/nappy, there are those that encourage you to dump the solids in the toilet before wrapping them up and putting them in the garbage! 2. BABY WIPES: The suggestion here is that you look for wipes without chemical scents or synthetic chemical additives, for obvious reasons. Again, any product free from chemical fragrances, dyes, and unbleached or whitened with chlorine bleach, is much better for your baby. What you don't see easily doesn't mean it's necessarily safe. Check the label! 3. BABY POWDER: It is becoming more widely recommended these days to avoid the use of powders. When inhaled the powder can coat the lungs resulting in possible breathing hazards, especially for infants. There are simple ways to get the same effect - most obviously by using a dry, soft towel on your baby. Be aware that Talc-based powders may be contaminated with asbestos. And your average commercial powders may use petrochemicals to achieve that wonderful scent! 4. OILS AND GELS: Many standard baby oil, mineral oil, and petroleum jelly brands contain mineral oil and chemical additives to, again, achieve that nice scent. Much of the time with these brands, petrochemicals are involved (which is based on petroleum) and these can contain traces of toxic chemicals and metals. You can find safer alternatives in Botanical Oils (such as jojoba, olive, or sunflower oil), Herbal Extracts (such as calendula), Vitamins (such as A,C, and E), Natural Soaps (such as vegetable based), and other Natural ingredients like Aloe Vera, beeswax, or soybean. 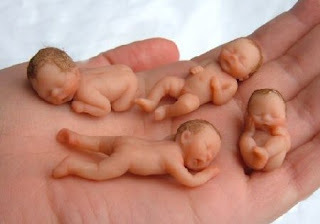 Make sure, though, that if you use essential oils or extracts that you seek professional guidance as some may be to strong for use on babies. 5. Don't be afraid to ask your child's doctor about anything that might concern you... even if you think it might be trivial! The nonchalantdad: Dad takes on Big Brother. Here is something for all you parents out there that have travelled long distances with children. A little advice for those of you to tired to remember better: Do not insult customs officials. 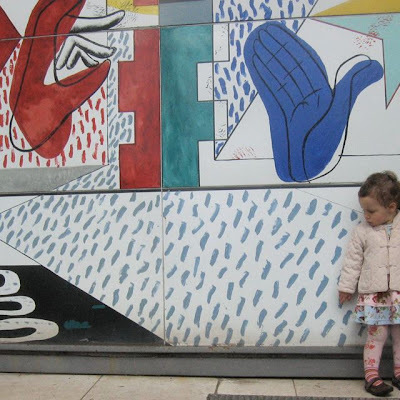 By the time I arrived with my two young children and my elderly Mother into London's Heathrow Airport, a notoriously busy airport, I was already fairly exhausted. Now normally, I'm not one to lose my temper. Nor am I anything close to impatient. I understand how things operate sometimes - I can accept that nothing is a straight line. However, nothing riles my temper more than the indifference of bureaucracy mixed with a significant lack of sleep. With all this baggage and two impatient kids, a mother bringing up the rear, and a red face, we come down the steps into the customs hall. 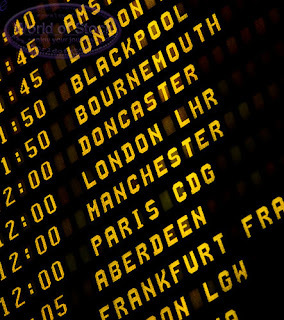 Problem is, it looks as though 37 other flights have landed their passengers at the same time. There are people everywhere. I glance over to the front of the customs hall, at the beginning of the long lines, and see that there are 2 men and 1 woman sitting at the podiums that are passport control. There are about 400 people in the line we are directed to... and it's growing. So, we take our place and stand for at least 10-15 minutes before I see any sign of small movement. By this time, my kids are playing on the floor with toys and a group of nearby Japanese tourists are taking photos of them for some reason. The cuteness is about to wear off when an official appears and offers us a place in another line, presumeably to speed the process along a bit. I'm thinking that they have a plan in effect to deal with the handicap, elderly, or overwhelmed-with-the-kids-who-can-potentially-destroy-anything-at-any-time types. I think I qualify for two of those categories. She obviously missed that memo in a meeting though. Because no sooner are we taken out of that line than we are put in another that looks slightly shorter, but only has ONE official working for the entire line of 100 or so people. Now, I'm not thinking patience - I'm thinking how I can make the system work for me. I need to play the game of bureaucracy - I need to play it better. The ideas are not coming though. Near us a new line opens and I see a group of tourists getting situated. This line only has 25 people in it, and it is moving faster. So, thinking on my toes, I gather our little troop and duck under the ropes to the next line. My mother, meantime, has to walk all the way around the ropes to come join us. Now, if exhaustion isn't enough, I'm feeling guilty at making my mother work so hard. At the front of the line is a sour faced individual who revels in the fact that he gets to tell me that we are not allowed in this line because we are not a group. I make a gesture with my hand sweeping over the heads of my family and say 'how many people does it take to make a group?' He does not smile, he instead stands up to leave. He repeats the same line. I stare at him - now I'm indignant. I say something under my breath... nothing offensive.. just something. He seems to have been waiting for this moment the whole of his professional bureaucratic life. I have managed to step over the official line and dared to question a government official. We stare at each other... perhaps he is not impressed. Perhaps he is hungry and would just like to have his break. Whatever it is, he walks away. Now I have to return to the back of the original line, already joined by further arriving passengers. My mother, having probably resigned herself to my foolishness years ago, walks all the way around the ropes again and joins us. God bless her, she says nothing but smiles. Unfortunately, that does nothing to cheer me up. I hear a lady in the line say loud enough, through her own frustration, that people like me think they should have special treatment just because we decided to have children. Now, I'm sure I'm not the first parent to have heard this a few times over - and I can't say I totally disagree with her. But, given the situation and my own rising temperature, I am not at this point giving over any more dignity. I turn to look down the line in front of me to see her. I try to give her a purely evil look, taking advantage of my already red face. Now, what I want to tell the lady (and in hindsight this is always easier) is that when you really take her comment for what it is, then all things can be reduced and discounted. It is no ones fault that the elderly are older, they choose to get old. It is no ones fault that a handicap person is born handicapped perhaps, no ones fault that the sick are sick, etc etc... Why is it then that we give any privelege to anyone that seems at a disadvantage or in a weaker position? Why bother even opening doors for people, why do anything kind? We do this because it makes our society better - it is called courtesy. It is one of the remaining virtues of our human kind. I'm still looking at her. And I say: "Lady, you can't say anything if you are wearing shoes like that" Now, I ask you, in the history of rejoinders, what the hell is that? It sounded as if I suddenly became the bitchy doorman at Studio 54 or something. Thankfully, I think there was some laughter. Before she could even say anything back to me I felt a soft tug at my arm and there stood another lady official. She escorted me to the front of another line this time and before you knew it, our family unit - with its red-faced leader, humble and tired grandmother, and altogether delirious kids - were standing in front of the passport control podium. The man looked me up and down, studied my passport and asked me why I was in England. I told him that at this point I was not really sure.... He was not amused and glanced up at me while repeating the question as if I were a little slow in the head. "Why...are...you....in....England?" I briefly wondered what Oscar Wilde might have said were he in my shoes. "We are on holiday" I said, and with that we were stamped on through. That nights performance for 'Dad of the Year' was over, just like that. When in Amsterdam it's got to be TUNFUN! If, by chance, you find yourself in the city of Amsterdam and you are with the kids - especially if they are restless and tired of the golden history, canals, bicycles, and anything faintly resembling tourism - it is highly suggested you get your children over to Mr Visserplein near to Waterlooplein. 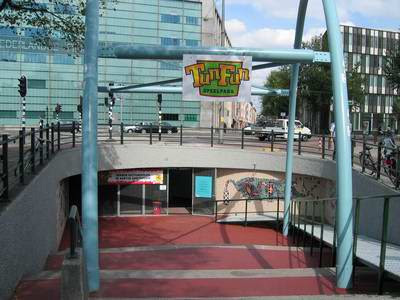 In a reclaimed section of automobile underpass is situated a sort of amusement park called 'TunFun'. A fairly well known secret to many a parent in the city, it is the ultimate in everything geared to natural energy and excitement. Of course, the place is not filled with mechanical rides, rollercoasters, or anything associated with a typical amusement park in the USA. No, this place relies on good old-fashioned physical imagination. A large playground (huge in the eyes of a 5 year old) with just about anything you can think of to entertain enthusiastic children! I witnessed the place on two different occasions, once while crowded with roaring children, and the other occasion with just a handful. 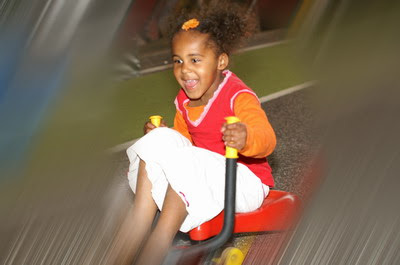 The setup is designed to appeal to any child aged from 1 - 12 years old, and a few adults willing to risk getting stuck in one of the climbing tunnels. 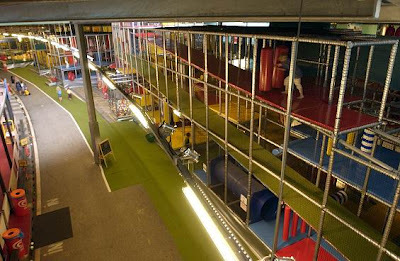 There are large sections of climbing apparatus, crawling space, and slides. There are two or three different plastic ball 'pools' (one with a slide), there are trampolines, and even a bouncy castle (if my mind did not deceive me). Further, there is even an indoor soccer field, a small disco, beauty parlour, and seperate areas for smaller children. My kids loved the array of things to do so much, that after 10 minutes their shirts were off and they were burning up a storm. They move so fast through everything that it is almost pointless to try and keep up with them! And, TunFun is a safe and secure setting. You don't have to feel like you have to be on top of the kids - they come and go, usually appearing out of nowhere for a quick drink or snack. Most parents sit in the central area where all child traffic moves to and fro - this is where the cafe is situated with plenty of benches. Some parents chat in groups, some read the newspaper, some just look relieved that their children are having fun - tons of fun! Personally, I only wished the cafe offered slightly better choices for snacks and drink - not that the kids complained. But, seeing the excitement on their faces made this small complaint a fleeting one. Children, unable to communicate in the same language became instant friends - and there was rarely a child misbehaving, if at all. The staff were very welcoming and friendly too. My children especially loved these scooter-type things that rode close to the ground called SmartKarts. The children had figured out fast that you could take the thing to one end of the place and coast down to the center using what used to be one of the car lanes - quite a distance for kids. And zooming past me, I could see that it was going to be like returning to hell trying to get my kids out of the place. Eventually, on both occasions, I did - but be prepared to let them fly, tumble, run, crawl, and bounce for a good few hours. Bring a good book, you'll get to read it, I promise. TunFun has a website where you can get all the information you need, and thankfully it comes in English as well. SO, if you think you have an equally fun, or interesting, place for kids in your town or city, we'd like to hear about it here at nonchalantmom. We're all into sharing great ideas! Email us at ideas@nonchalantmom.com. I had this brilliant idea when my baby was just a few months old to page through art books and talk about paintings with her, why not start early? I thought. Right. Now she is like most 'almost' two year olds and can't sit still for more than one minute so I'm guessing that the traditional museum is out. Where does the art come in? ARCHITECTURE! I realized it is the perfect intro to art and it is the maximum of art at the same time so why not start there. We are fortunate to live in the center of Europe and have so many great buildings within driving distance. 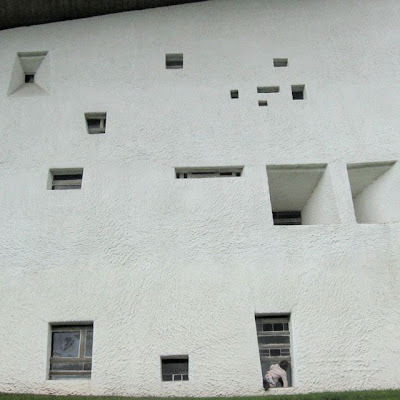 Le Corbusier is one of my favorites and we've visited a couple of landmark sites with her. 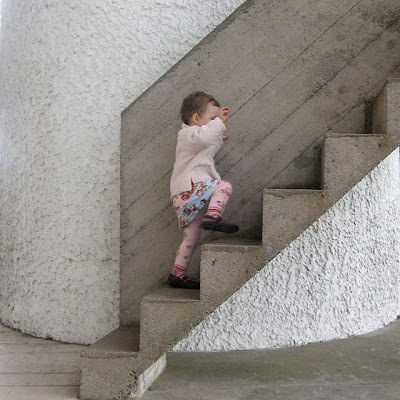 Chapelle Notre Dame du Haut in Ronchamp, France Pictures of the exterior and the interior of the building and La Cite Radieuse in Marseille, France La "Cité Radieuse" à Marseille I find it is a great way to let her loose exploring, climbing and touching whatever inspires her and she loves it. It truly is being encompassed in art, far better than looking at a book and she really seems to get that it is something special. now, we don't all have Le Corbusier just around the corner, but most states in the US have a heavy amount of interesting architecture too..and this website, architecture 411, will help you find something near you...just type in some of your favorite architects and see what you find, you never know there might just be something great right around the corner! 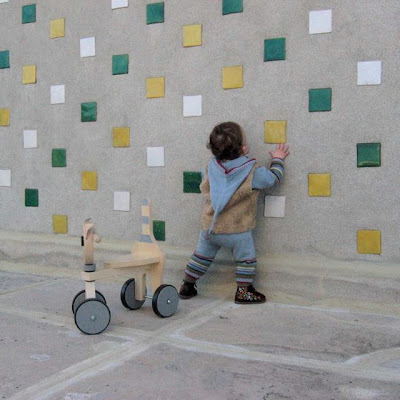 I thought you all should know more about kice kice, one of the new collections that I have here at nonchalant mom! Kice Kice is a partnership between twin sisters, lesley nishigawara and karen kice. 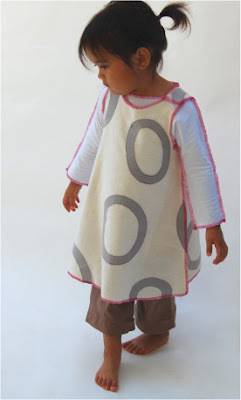 lesley nishigawara, a textile artist, started making children’s clothing after the birth of her daughter. Naturally, Karen, also an artist, began helping lesley; the two found their combination of skills and implicit understanding of each other to be the perfect creative partnership. karen tells stories of the crazy twin situations..when they were small children at preschool they used the term "we" instead of "I". one night while at art school they both did drawings of hedgehogs, same time, same night, while living in different buildings! ...talking to them about being twins makes me want to be one! when lesley became pregnant, she moved to california and karen came out for the birth of her second daughter. while she was out, they started getting their business together and drove to downtown LA in a large cargo van to buy industrial sewing machines four days after lesley's due date. she was having mild contractions while they drove through los angeles traffic on their way to buy their machines. they arrived at the store, paid for the machines and the man walked towards the back to get them ready for us - he turned around and said "You girls know how to sew, right?." karen said, "I don't, but she does," and pointed to lesley who was pregnant, days overdue. karen followed her out to california later that fall. so, as karen put's it, "although we are doing 'everything' together - we have our own skills that complement each other, but a very similar aesthetic." each item Lesley and Karen make is regarded as a piece of artwork. 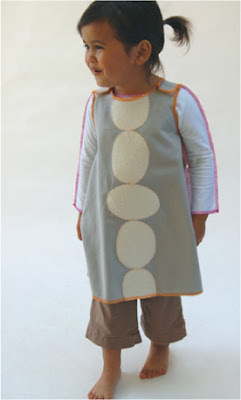 They take the same care and attention to detail while designing and creating Kice Kice items as they do in their own artwork: each dress celebrates the beauty of childhood....I couldn't have said it better myself! Place brown rice mochi squares in oven at 350 degrees until it puffs up (usually about 10 mins) Roast the clove of garlic in the oven at the same time. Saute eggplant in a small amount of olive oil with all the ingredients until cooked (eggplant will be a little mushy). Break the mochi in half (like a sandwich) and spread roasted garlic on the mochi. Place a scoop or two of the eggplant on the mochi and serve warm. shop nonchalant mom here to purchase. do you ever wonder when you are sitting there reading your books to your kids, hhmmm this paper looks more than white...yes, it is usually new, un-recycled paper! 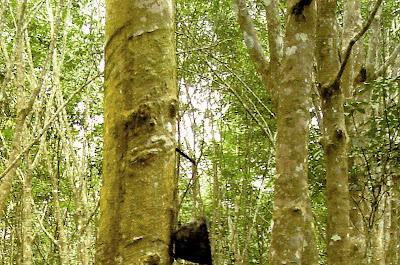 each year about 20 million trees are cut down for the production of books in just the US alone! BUT let's not complain because you can do something about it, that's where eco-libris comes in...just visit their website here, and choose how many books you want to balance out and they will plant the trees for you! for every book you balance out, eco-libris will send you an Eco-Libris sticker to put on your book cover, displaying your commitment to sustainability and perhaps even inspiring others to become more responsible about their use of natural resources (in case you were wondering - the sticker is made of recycled paper with non-toxic ink… oh, and the thank you note too, and yeah, even the envelope). the website has the full information of when and where planting takes place, they work together with other non-profit agencies to make sure your donation is put to good use! and who knows, with the awareness that is brought on by eco-libris maybe one day all books will be printed on recycled paper! so here is your chance to do something, it's simple and easy and just a click away!